Save the wild yeasts! From senseless abuse and pasteurization. Suddenly beer-lovers here in the States are all a-titter over dark, sour, wood-aged ales. These complex, fruity-tasting beers, native to the Netherlands and Belgian Flanders, represent one of the oldest beer styles in the world. In their traditional form, these Sour Reds – also known as ‘Flemish Red’ or ‘Oud Bruin’ beers – are related to real lambic beers: a touch of wild yeast and bacteria coming from the wood give acidity, both lactic (sour) and acetic (vinegar). Trouble is, it’s become nearly impossible to find a true, traditional Sour Red, even in the place where the style was born. The spate of Sour Reds turning up here now leaves most drinkers crying in their beer. They’re too damned sweet! Crass commercialization has brought even the generally recognized ‘classics’ of the style to their knees. They’re pasteurized, and sometimes laced with sugar or artificial sweeteners to make them appealing to the less-discerning beer drinker. The traditional complexity, character, and dryness are missing in action. 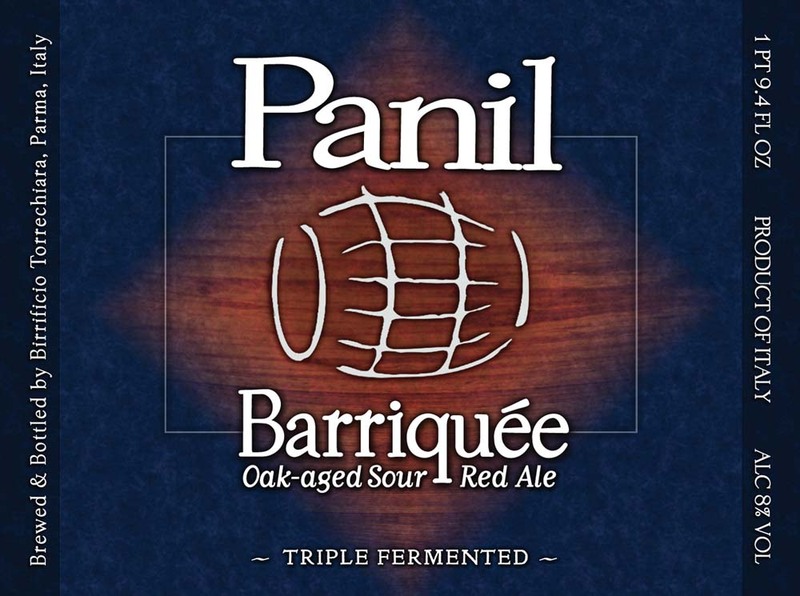 But now comes Panil Barriquée, and not a minute too soon. Barriquée is the only all-natural, traditionally-made example you will find today, and it comes from, of all places, Italy. This masterpiece is ‘triple-fermented.’ Primary fermentation is in stainless steel. The deep earthy, sour character results from three months of maturation in cognac barrels from Bordeaux, followed by re-fermentation and further aging in the bottle. Barriquée is not pasteurized or filtered, and no sweeteners are added, so it is uncompromisingly dry and complex, and endlessly interesting.